Read Jack and Jill. Pay close attention to the rhyming words. Talk about how a word rhymes when it has the same ending sound. Reread the nursery rhyme and have students point out the rhyming words. Make a list on the chart paper. See if students can come up with other rhyming words. List them on the chart paper as well. Before playing this game, you will need to prepare the rhyme cards. Write three words on an index card. Write down two that rhyme and one that does not. For example, you could write Jill, hill, and crown. A good idea is to include images by the words to help the students know what the words are. You can draw your own images or print and glue some to the index cards. Make sure to include the rhymes from Jack and Jill. You can also include other common rhyming words or endings, such as the –at ending. You will play a rhyming racing game. Divide your class into two teams, and divide the cards into two stacks. Have a student from each team come up and draw a card from the top of the stack. Have students pick the two rhyming words. Students may need help reading the words on the cards, which the images can help with. You can also read the words to them. Give a point for each correct response. You can also play a game similar to Around the World. Each student will need an index card that you prepared. Have students stand up and go around the room giving the two words that rhyme on their cards. Again, students may need help reading the words on the card. Students continue standing if they give a correct answer. They will sit if the answer is incorrect. Once everyone has had a turn, pass out new cards to the students still standing. Repeat the same procedure going around the room until one student is left standing. Use Jack and Jill to teach safety rules. After reading the nursery rhyme, talk about what happened, especially about Jack and Jill falling down. Ask the students if they have ever fallen down and how it felt. 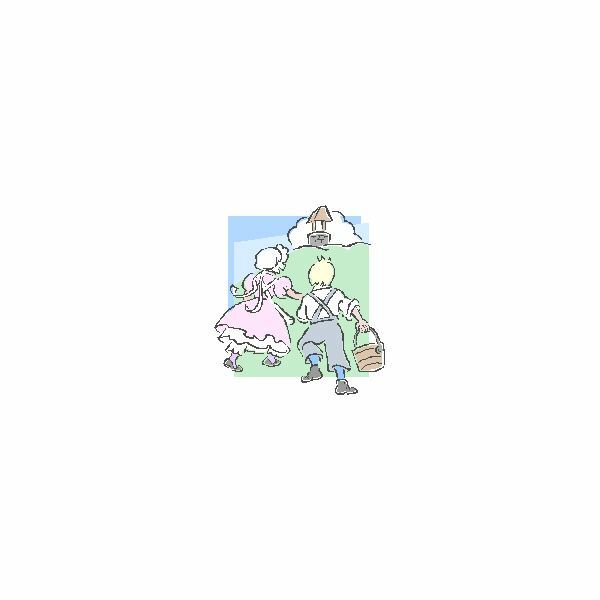 Talk about some ways Jack and Jill could have prevented their fall. Next, talk about why safety is important. Talk about some basic safety rules that you want your students to follow, such as walking in the hallways. Have students discuss why it is important to walk and not run in the hallways. Another good safety rule to include is stairway safety, especially if your school has stairs. Talk about why you hold the handrail and take one step at a time. You can even let the students come up with a few safety rules. Write the safety rules on chart paper as you come up with them. When you have finished, go practice the safety rules. Practice walking in the hallway and going up and down the stairs. When you have finished practicing the safety rules, assign each student a safety rule. Have them draw and color a picture of that safety rule. Post the safety rule posters around the classroom and review them periodically.